What is a ChroHo Key? ChroHo stands for Chronic Hope since Spoonspirations is all about chronic illness meaning chronic hope. I have made tangible keys to help represent that YOU hold the key to a cure. Awareness, change and cures will not happen without US. 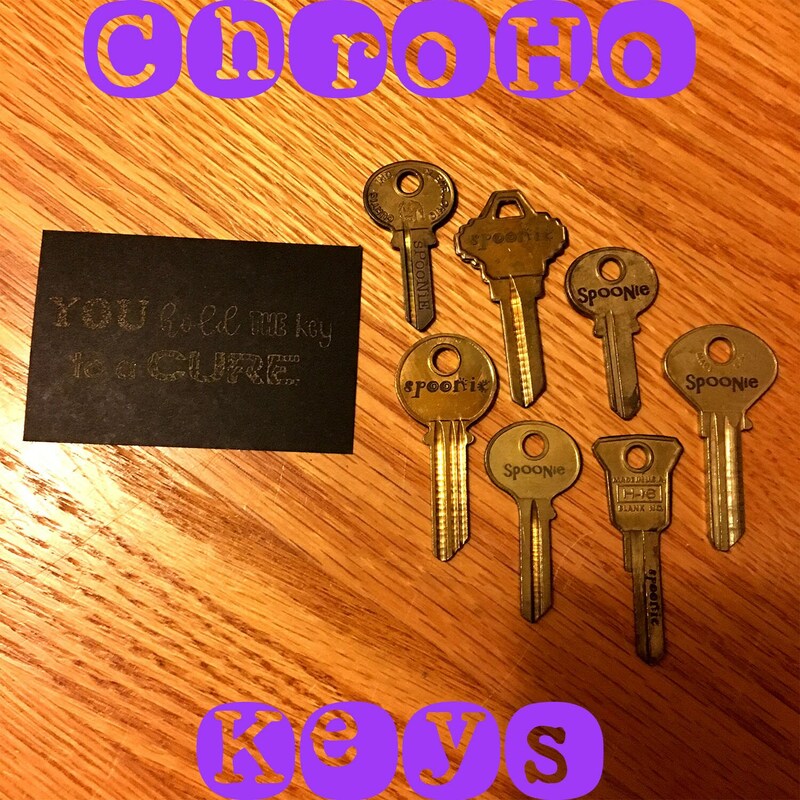 So the ChroHo Keys are a little reminder to take with you everywhere to remind you that you are part of the cure! You will get a surprise brass key that has "spoonie" engraved somewhere on it. 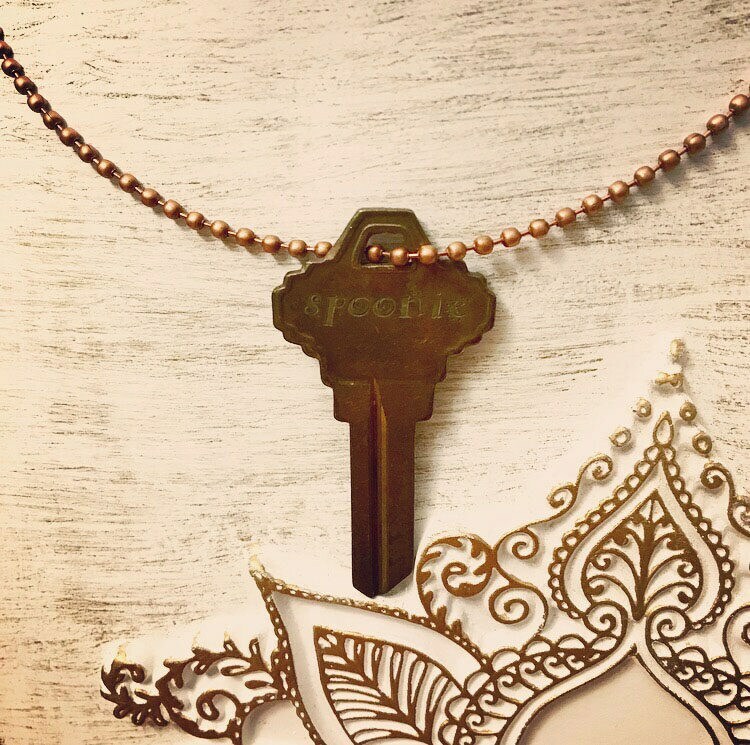 Each key comes on a 2.4 mm antique copper plated 24 inch chain. It comes packaged in a gift bag and with a special note of encouragement.